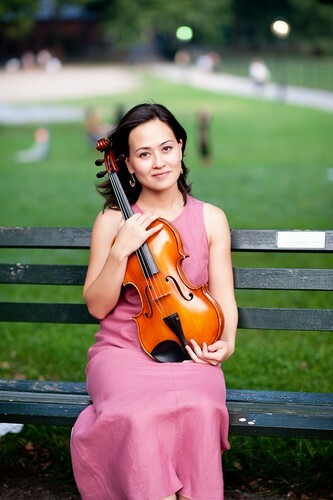 Born in New York City and raised in Japan, Ms. Fukuda began playing the violin at the age of six and the viola at 17. 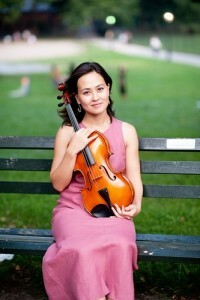 She works with many groups in and outside of NYC such as the Met Orchestra, the New York City Ballet Orchestra, the Saito-Kinen Orchestra of Japan, and is member of the Mostly Mozart Orchestra in New York City, been a member in the San Francisco Ballet Orchestra, and assistant principal violist at the Valencia State Opera Orchestra of Spain. In 2006 and 2008 she received the Music Award from the New York Japanese-American Association and made her first recital appearances at Carnegie Hall’s Weil Recital Hall. As an avid teacher, Ms. Fukuda teaches violin and viola at Opus 118 Harlem School of Music, where she is also Coordinator of Strings Department. Ms. Fukuda received her Bachelor of Music degree at the Tokyo National University of Fine Arts and Music under Junji Suganuma, and Master of Music degree at the Juilliard School under Masao Kawasaki.